Decks are a great option to extend your outdoor living space. They can be used as the primary space in your backyard or they can be used as a transition from the house to a large patio or pool area. For most deck owners, the space below the deck is never utilized properly. Left abandoned with the potential to add storage areas or an entirely new outdoor room, these areas do not get much attention because of the location. In most deck designs, the steps lead away from the house and deck, taking you to another part of the yard so a clever transitioning design must be executed in order to tie in the underside of a deck to the rest of the landscape design. 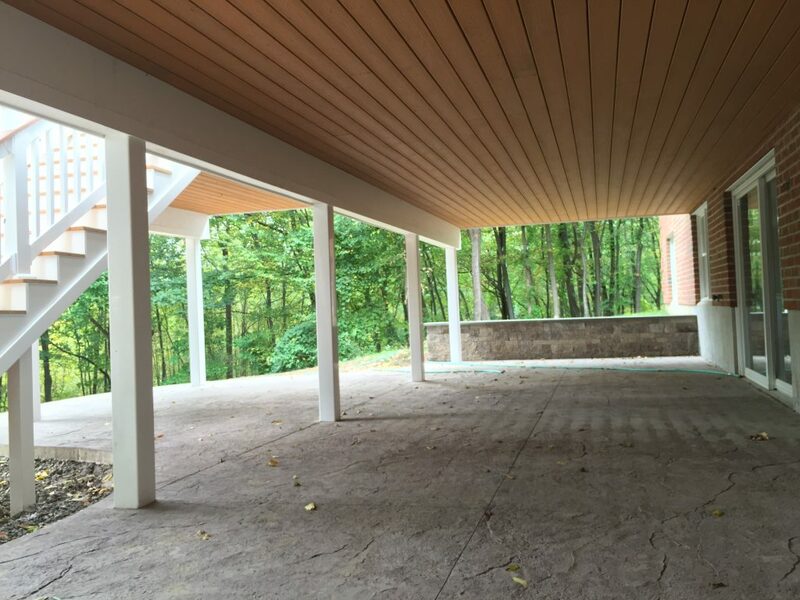 When planning to create a room underneath your deck, the first thing to consider is to add a waterproof ceiling system. These systems are designed to channel moisture from the spaces between your planks, creating a usable, dry space under your deck. The patio style should complement the deck materials and colors. A safe reliable choice for patio pattern anywhere near a deck is a seamless, textured stamped concrete. A solid, seamless concrete pattern balances the straight parallel lines on a deck. 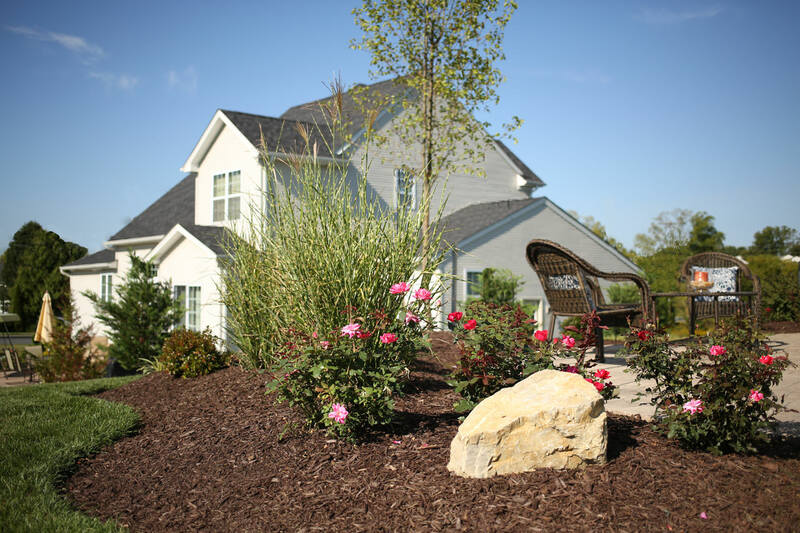 Choose a color options that matches well with your deck colors or any other materials in the area. This space can be designed to complement a basement area or first story indoor room. If there is no access indoor near the underside of your deck then perhaps this area can be used as a space to create a casual, relaxing environment to get away on sunny days. If your deck is near a pool area, then perhaps a bar area with lounge furniture would be best fit in the space. 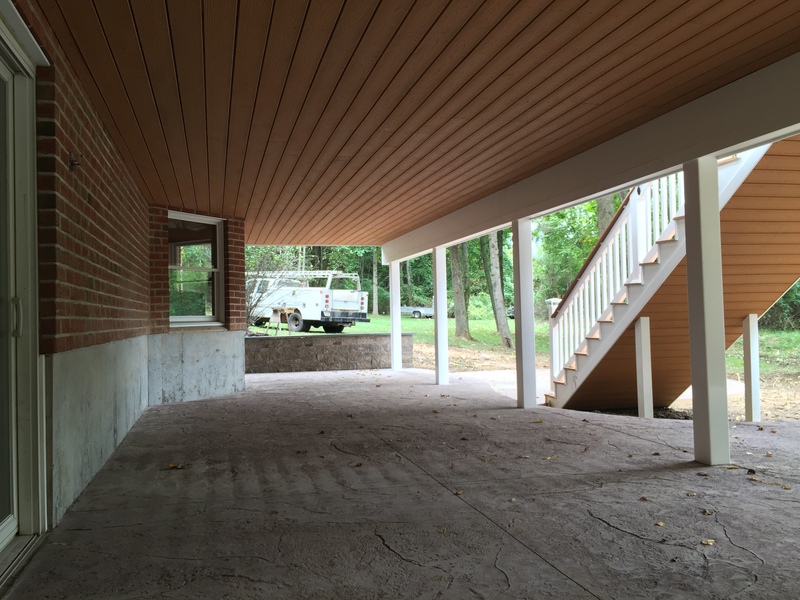 Another way to utilize the underside of a deck is to make it a storage area. The underside of the deck would be wrapped in lattice or some kind of deck skirting on all sides to enclose the area. An access door would be constructed large enough to fit all the items being stored. 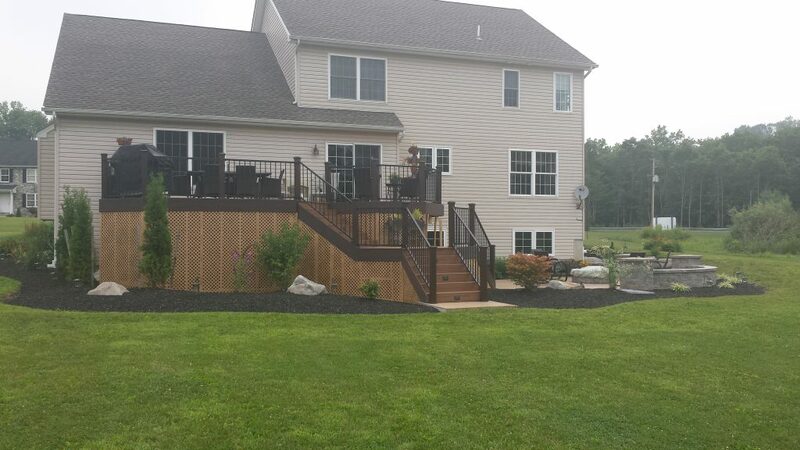 Adding landscape around the perimeter of the deck is a beautiful option that will complete the area.